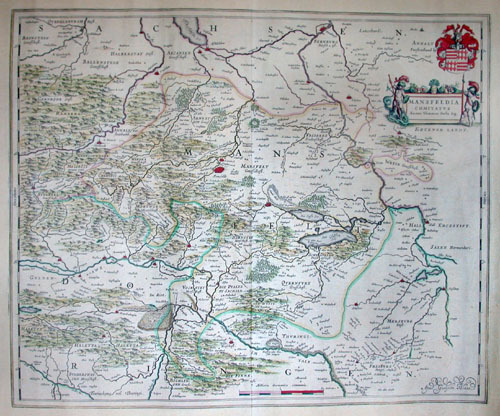 This magnificent 1647 map by Johannes Blaeu represents Mansfeldia, an area in Eastern Germany near Belgium and Luxembourg. Cartouche in the top right depicts the Mansfeld coat of arms. Generally very good condition with only minor age toning to the whole.